Justice. 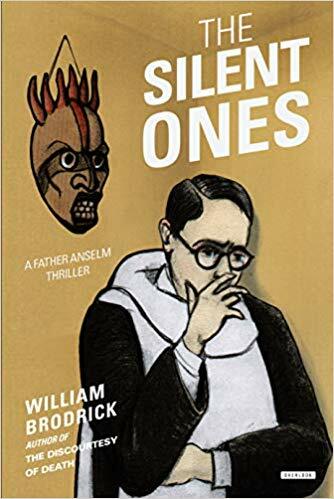 The sixth installment in the Father Anselm mystery series by William Brodrick is a novel titled, The Silent Ones. Brodrick tackles the issue of clerical sexual abuse of minors in this novel and offers readers a sensitive and complex plot in which we accompany Father Anselm in figuring out what happened. The title refers to the victims of abuse, and this quote (pp. 100-101) captures part of the treatment of this topic: ‘“If you fail,’ said Littlemore, ‘then it’s not only Harry who’ll suffer. There are many others. They are the Silent Ones. They live and die in their own private hell. You can take the first step that might help them find their voice. They’ve been lied to and cheated. Their goodwill has been exploited. They’ve said yes to a cover-up when they should have said no. You can do something to change all that.’” Readers who enjoy complicated mysteries with well-drawn characters and good writing should consider this novel and this series. Rating: Four-star (I like it) Click here to purchase The Silent Ones from amazon.com.